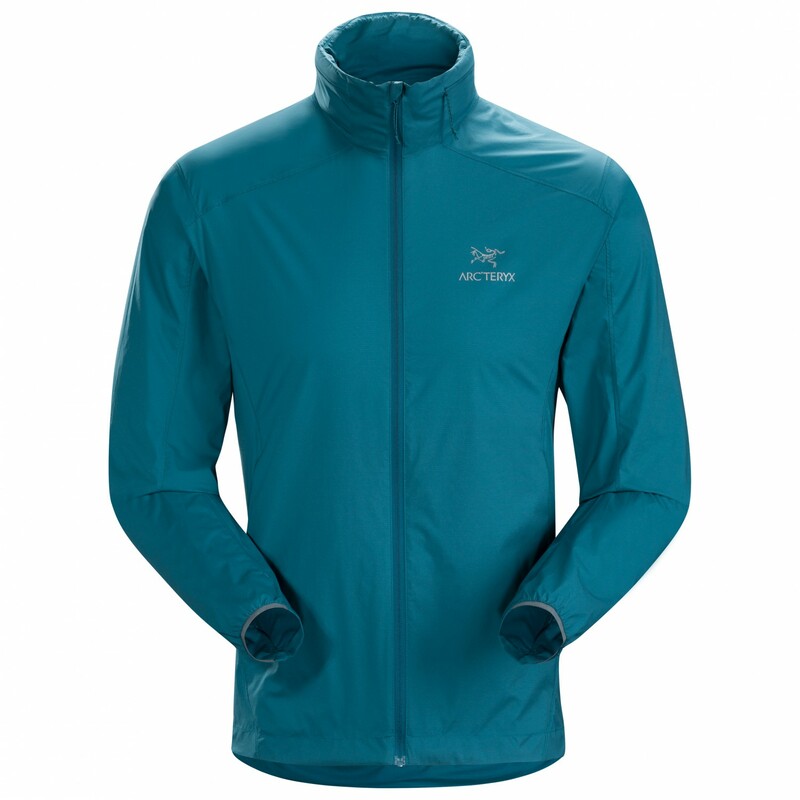 The highest level of weather protection - the Arc'teryx Nodin Jacket is a very lightweight wind shell that is perfect for hiking and trekking tours. 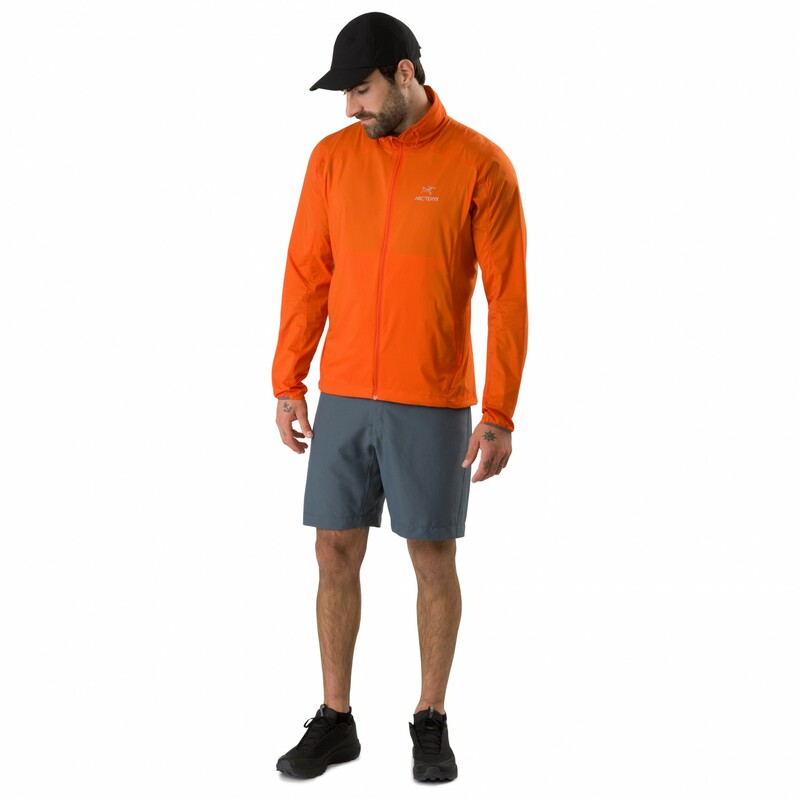 The face fabric is made of a soft nylon material called Tyono with a DWR finish to repel moisture. 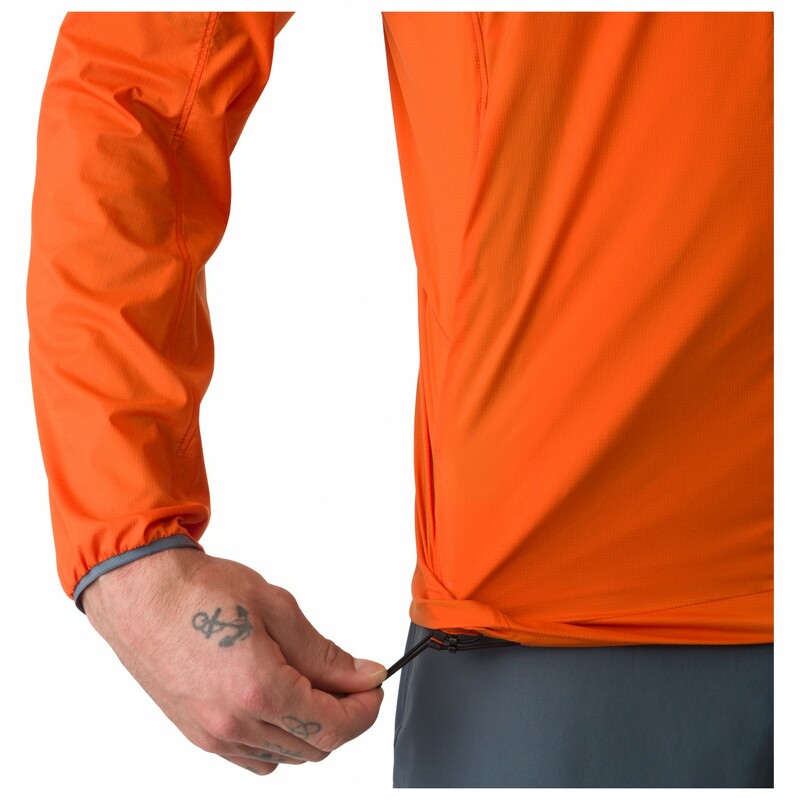 The jacket features a dropped back hem for added protection, even when you bend forward. 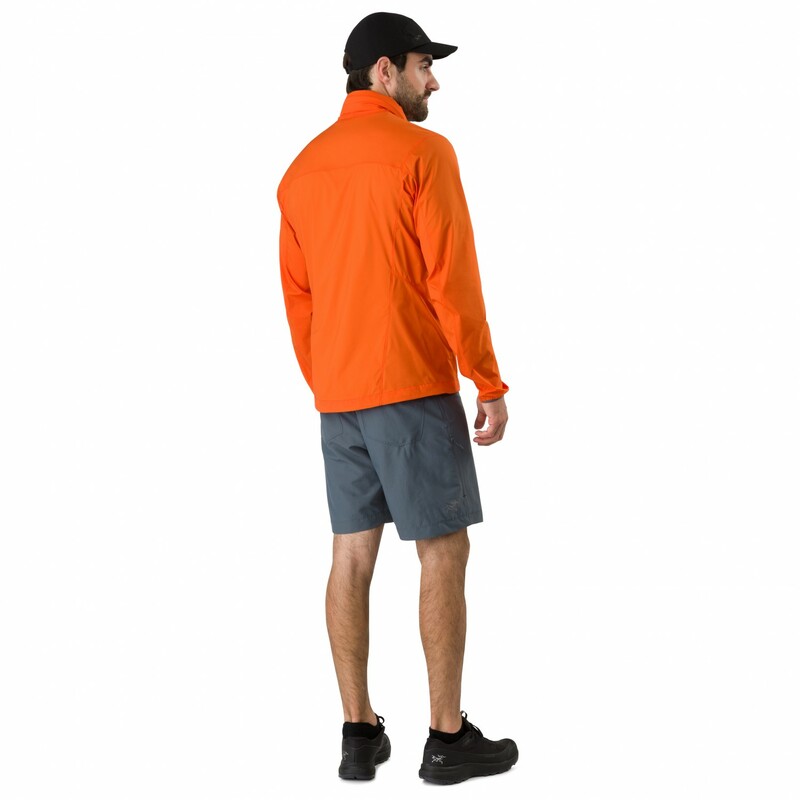 What's more, the bottom hem is equipped with a draw cord, which closes the jacket nicely. 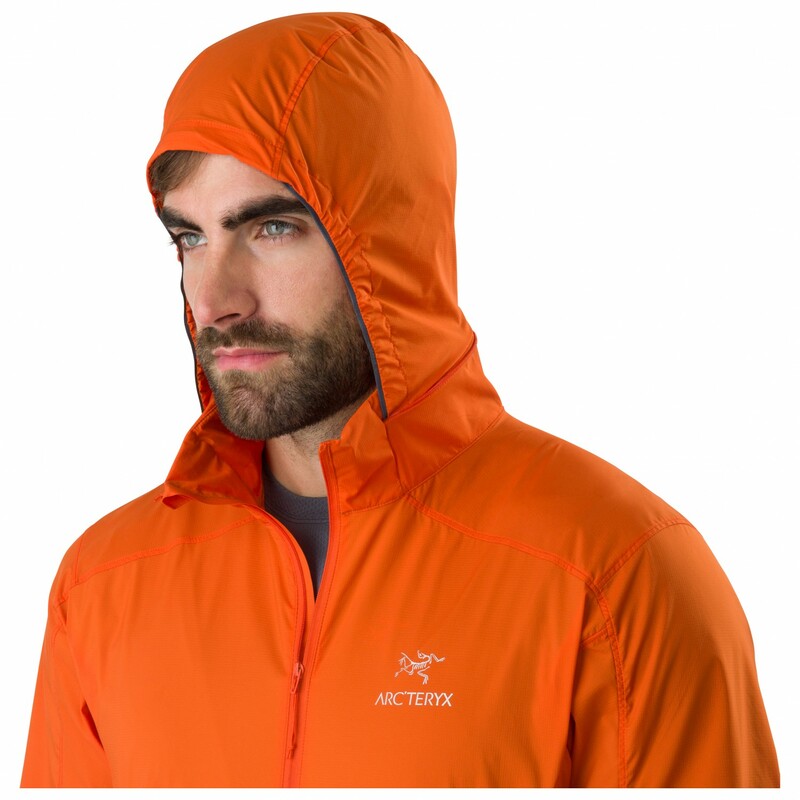 The hood fits nice and snug and can be stuffed in the collar when you don't need it. 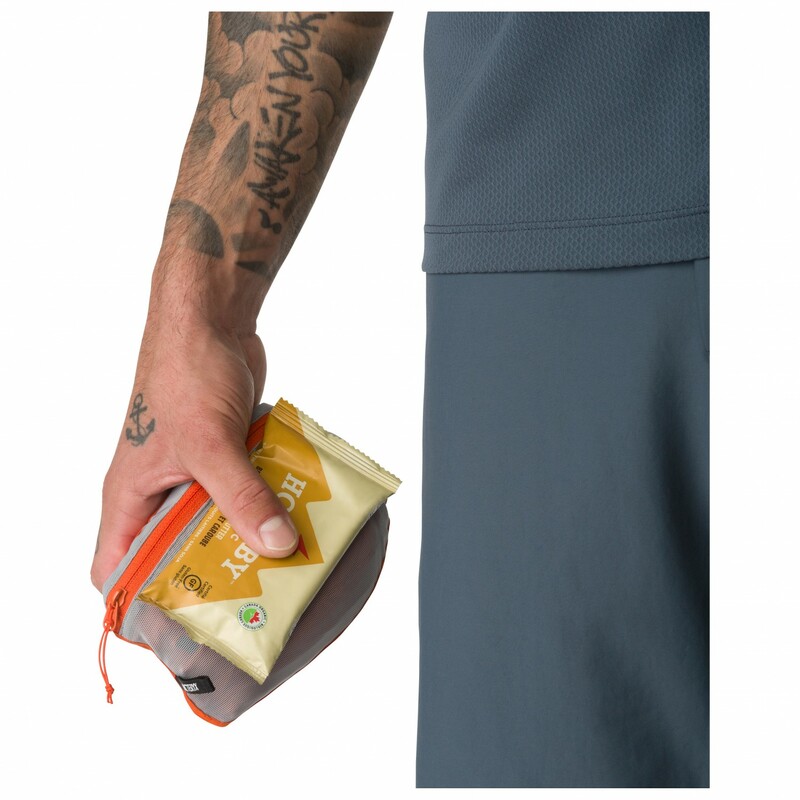 The two front pockets can be closed using the zip. 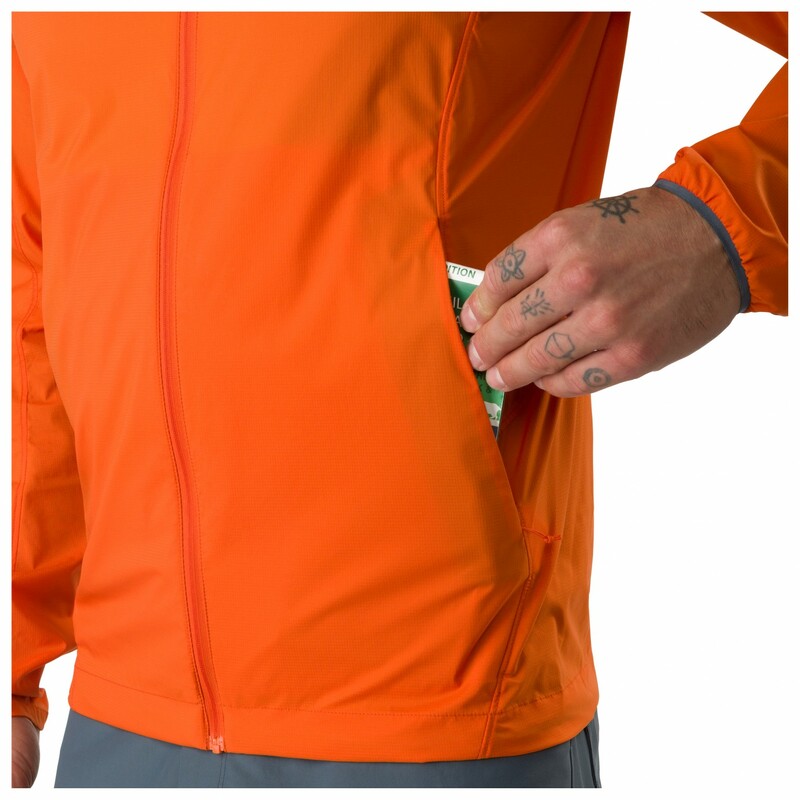 In one of these pockets there is an additional internal stash pocket for valuables. 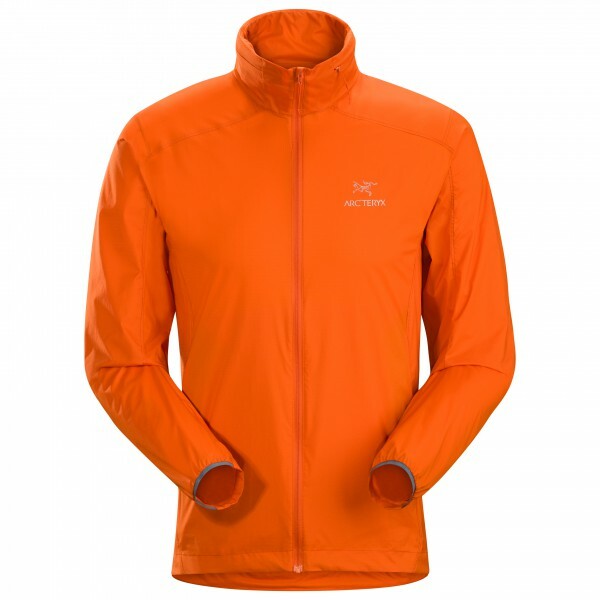 If the suns comes out and shows its pretty face, you can stow the jacket in one of its pockets. 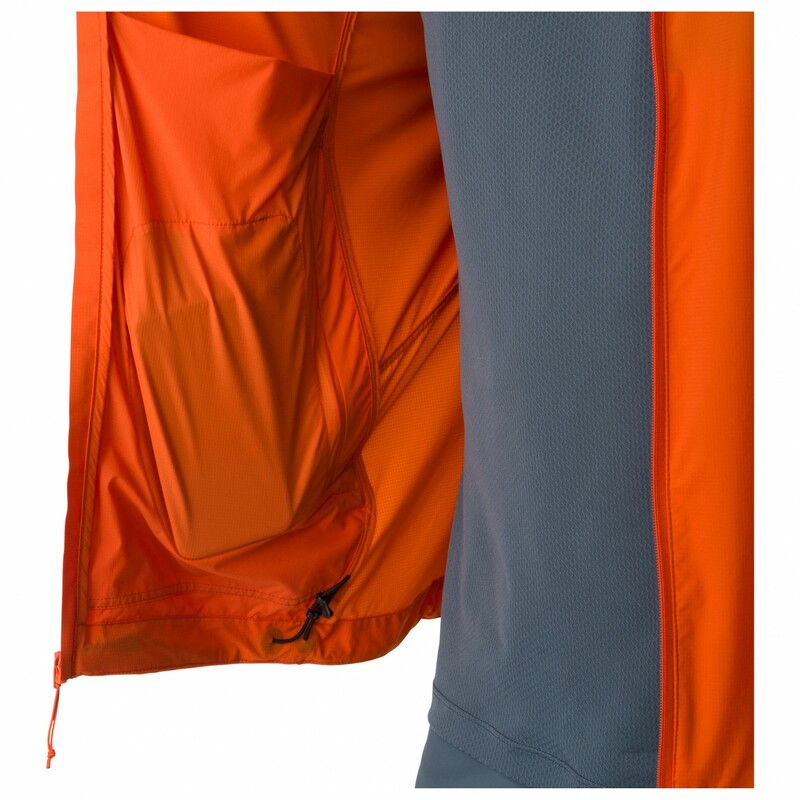 A must for any adventure! 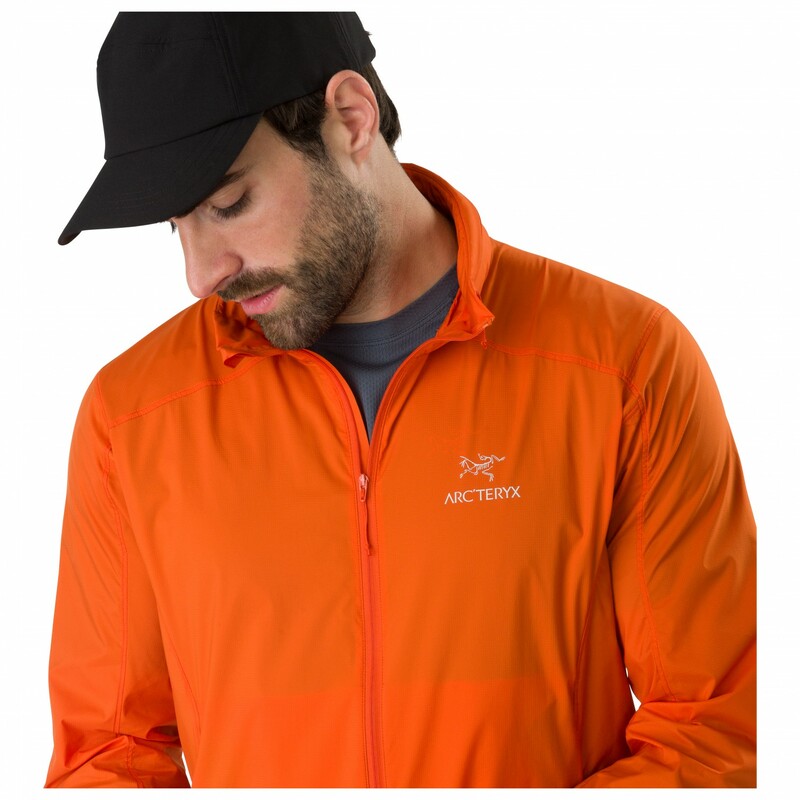 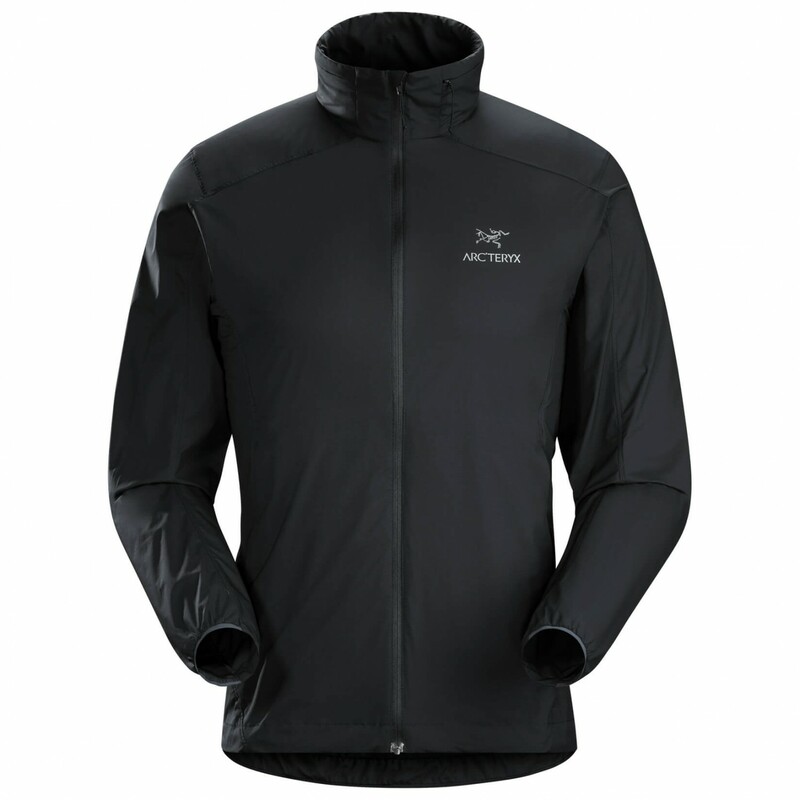 Lightweight, weatherproof and packable: the Arc'teryx Nodin windproof jacket!